Bridge of Spies, a Cold War drama directed by Stephen Spielberg, looks amazing. This movie is screaming "GIVE ME A OSCAR!" so it could be stand-offish. Otherwise, Spielberg appears to be delivering yet another stellar film from the legendary director. 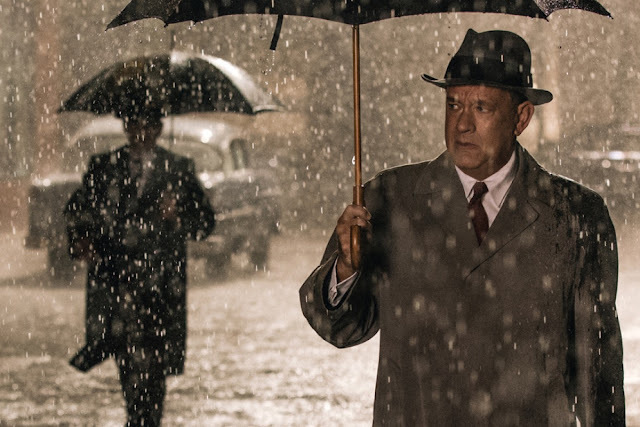 Tom Hanks will likely receive an Oscar nomination. If in any other hands, the movie might be boring Oscar bait, but with Spielberg, I have a feeling that the movie will be a superb, and hopefully gripping, drama. What do you think? Please comment below and let me know.